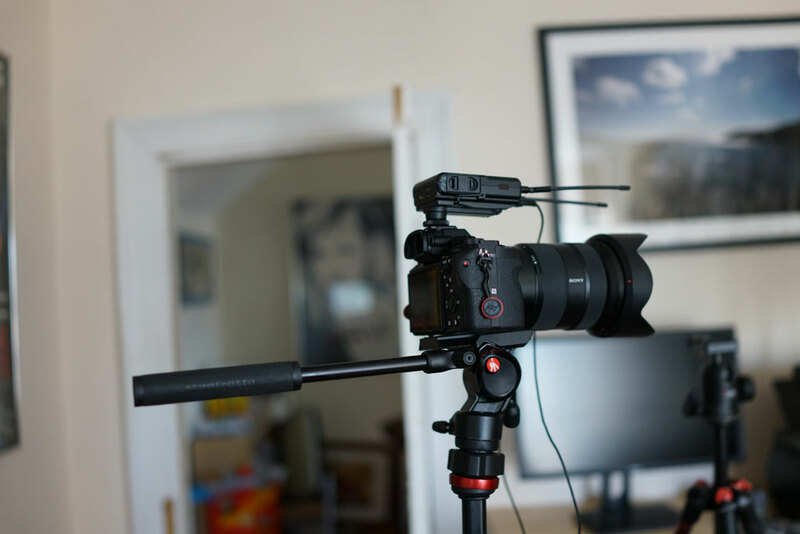 The Manfrotto BeFree Live is a specialized version of the company’s BeFree tripod line, and it includes a special dedicated video tripod head. We like to take the BeFree Live with us on photo and video shoots because of the unique locking collar, which is only found on the BeFree Live model. With a simple twist of a dial, the head goes from completely locked to completely unlocked, and a small twist of the locking dial allows the head to pivot around the ball mechanism smoothly. The BeFree Live, including the tripod head, folds down into an incredibly compact size. We strap it onto our bags when we’re in the field, and it’s small enough to fit under an airplane seat when attached to a regulation-sized bag. A beefy quick-release allows for a camera to be quickly mounted, removed or re-positioned, and it’s strong enough to hold a mirrorless rig, a DSLR or a small cine rig. At about $250, the BeFree Live is an excellent, affordable solution for the traveling videographer or photographer. Learn more about the BeFree collection on the Manfrotto website.